I love to have scented plants close to the house all year round if possible. At the moment the delicate scent of clematis Betty Corning drifts in through the side door. 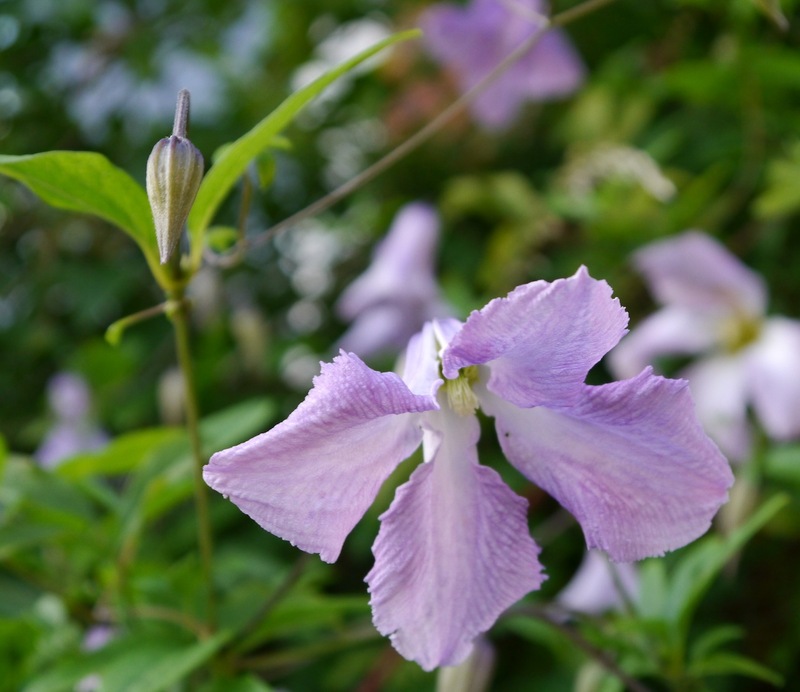 This clematis is really easy and always produces masses of blooms over a long period. It grows against a south facing wall adjacent to the side door but the roots are shielded from the sun by a hebe. (If you have read my earlier posts you will know that they are sometimes also protected by a fat hen pheasant sitting under the hebe.) I prune the stems back to about 2 feet (60cm) long in late autumn and the plant sends up vigorous shoots in the early spring to fill a space about 8 by 6 feet. 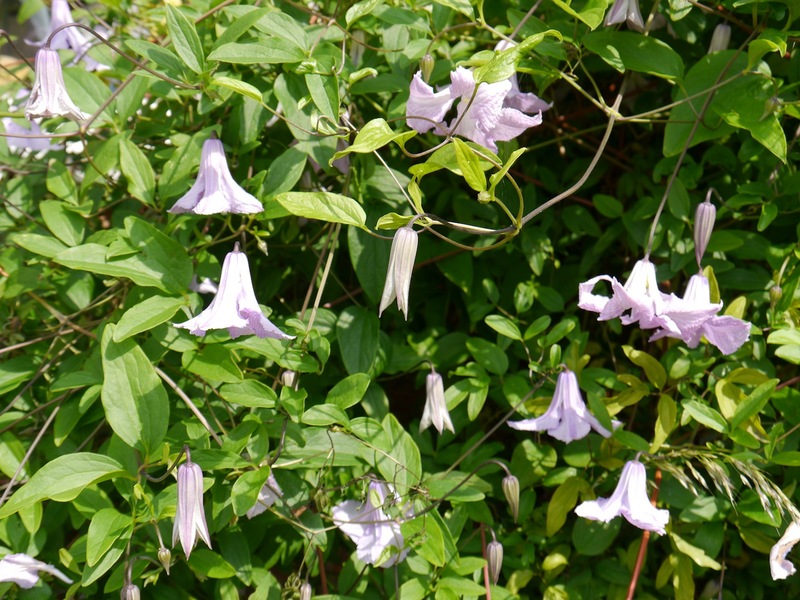 This is a hardy clematis and could be planted against a North facing wall; I am trying one in this position for next year so will let you know how it gets on but I doubt if the scent will be as good. 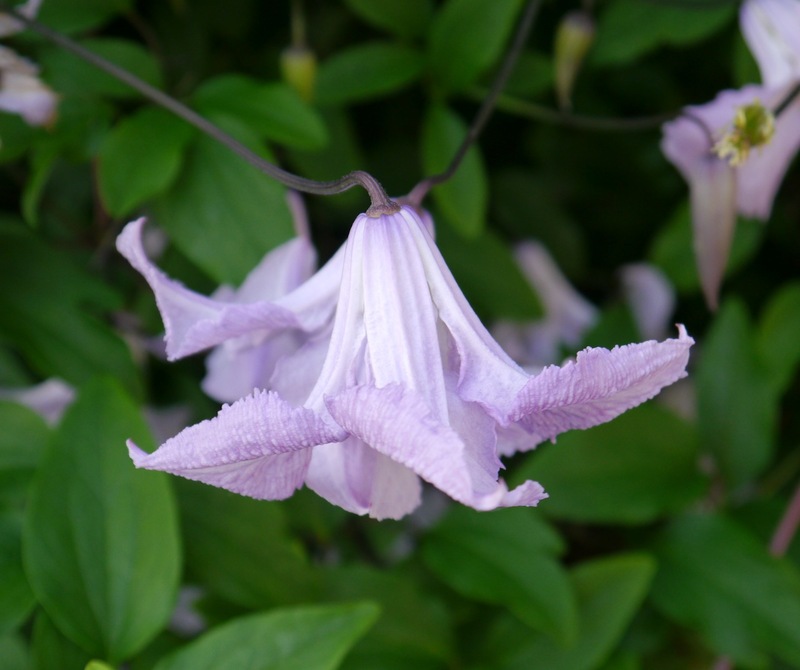 This entry was posted in Gardening and tagged Betty Corning, clematis, scent. Bookmark the permalink. In which case I will try layering some more shoots in case you can’t find a local supplier if you do decide to grow it. Beautiful!!!!!! I love the color. I like the soft colour against the old red bricks of our house; some of the deep coloured clematis are stunning but I prefer to grow them on pergolas out in the garden. Thanks; I like the subtle colour variations on this variety. Do you think the day will ever come when we can “transport” scents? I also grow Betty Corning,she grows up an old Sorbus Vilmorinii along with a David Austin rose Highgrove ,it’s stunning…. Pleased to hear you are also a fan of this delicate variety; I also have a Vilmorinii but I haven’t seen Highgrove except in photographs. 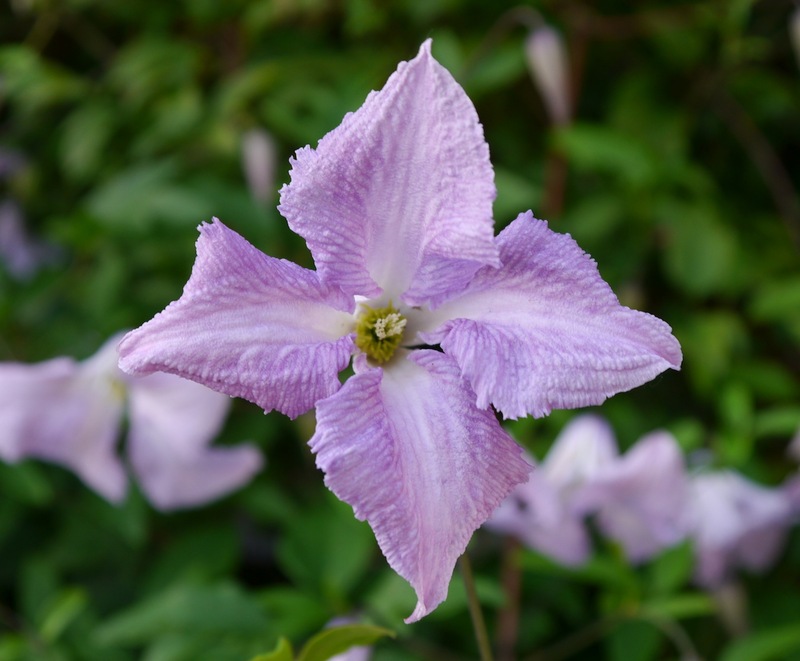 I find it very helpful that Clematis’ preference for a shaded root run allows you to plant them in an already crowded spot so long as they have plenty of nutrients. This Betty Corning gets the full blast of any afternoon sun during the summer but the hebe and the paving slabs appear to keep the roots cool and it thrives. I wish you luck in finding the perfect spot where you can enjoy the delicate scent as you walk by.